Are you playing Boston Bingo? Are you playing Boston Bingo? I just wanted to mention Boston Bingo quickly just in case you were not familiar. 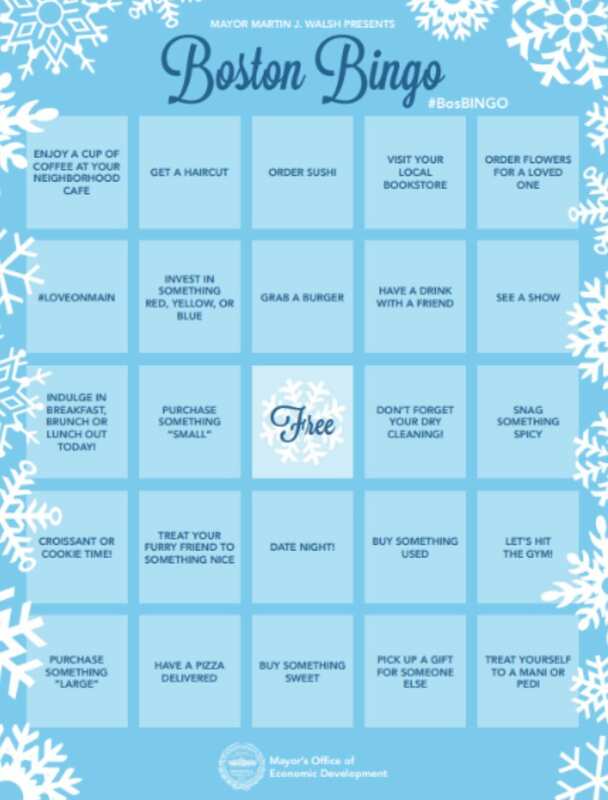 The Mayor’s Office of Economic Development created Bingo cards to help support local businesses in Boston and generate some business. Every winning card submitted will be entered in to win a variety of prizes including Bruins tickets, date nights and much more. There a few rules you do need to follow to have a successful entry card, so make sure you follow the rules to qualify. The deadline for submission is Sunday, March 15th, 2015 by midnight. This is a great way to get out of the house, support your favorite local businesses and hopefully win some great prizes. Please head here to download a Bingo Card or you can head here to find out more information about Boston Bingo. Good luck! Will you be playing?